Clearing clutter and opening the path for new energy to flow again. Over the past few months, my office had begun to close in around me. 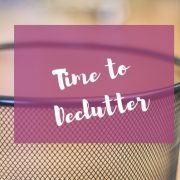 With the chaos of renovation works, wrapped up with the demands of the holiday period, my desk and room had become a dumping ground. There were remnants of Christmas ornaments to be put away; boxes of toiletries decanted from the bathrooms while work had been on-going, and a mass of tourist information acquired on a recent trip to Poland. The disarray was closing in on me, and seriously impeding my creative flow. I had hoped to start work in earnest on the sequel to my debut novel ‘The Naked Knitting Club’, but any hope of settling into writing mode was truly thwarted. To be quite honest, I could barely stand being in the room for any length of time. The mayhem was stifling my creative flow. The idea of starting to sort it all out was overwhelming. I was like the proverbial deer caught in headlights, too paralysed to take action. Anyway, my dear husband had to come into my room to resolve a computer issue for me (he only has to turn up and look at the computer, and it works for him – I may have completed the same steps to resolve the issue, it, of course, doesn’t work for me but for him straight-away… Go figure!) So, he is sitting at my desk and looks around in disbelief at the piles of papers and unimaginable clutter, and says “I think we need to get this sorted.” And with that, he set about re-organising my laptop, screen and keyboard. He then grabbed a duster and polish and even cleaned my desk. I received the message loud and clear – ‘Janet, get your sh*t sorted! Time to act. 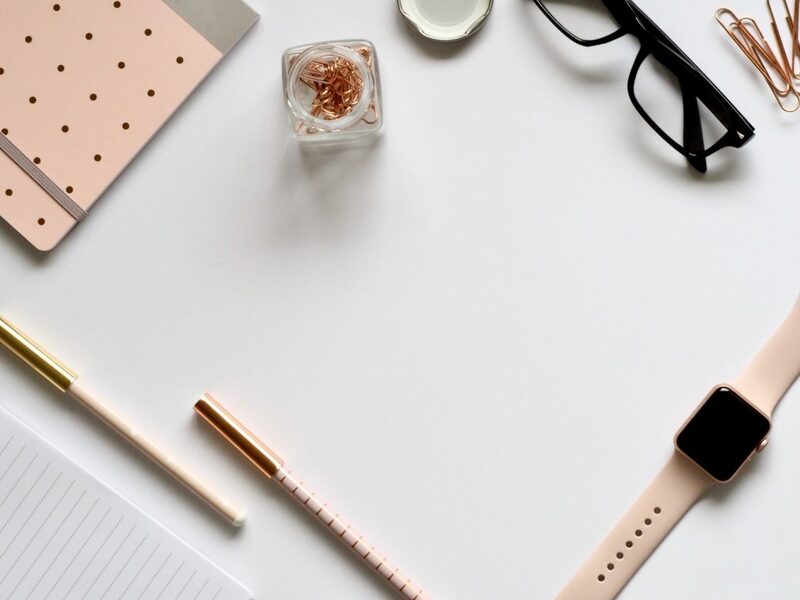 Armed with a couple of black bin bags, I attacked each section of the room – from the bookshelf to my overflowing cupboard; not forgetting the piles of papers, notebooks and pens on my desk. Now, I don’t know about you, but my books are like my children. I find it extremely hard to let them go. However, I need to make space and clear out the ones I’ve read (paperbacks), meaning I had to adopt a ruthless streak to weed out the books that have served their purpose and admit it was time for them to be passed on. At the same time, I set about creating some semblance of order to the books: non-fiction self-help/development/spiritual on one row, fiction on a separate row, and writing-related on another. Now it looks much better, and books are much easier to find. I will admit that I am a ‘learner for life’ – I love talking courses and programs to develop my knowledge and expertise in topics that are of interest to me. I have folder upon folder of course notes. A few have followed me around from as far back as 2004. If it was hard for me to let go of the books I’ve read (and unlikely to re-read), it is a struggle to part with my beloved course notes. There again, I had to ask myself, in all the time I’ve kept them, how many times have I referred back to them. Good question, as this eased the process of deciding which ones to keep and which ones could be binned (see the quote at the beginning by Marie Kondō, a Japanese decluttering goddess). The next prong of attack was the serious stacks of notebooks. As a writer, I love writing in a lovely new notebook – it is a guilty pleasure! (I know there are a few readers who understand and feel the same). I am the person who purchases a lovely new notebook for every new project or idea. I don’t need much of an excuse. Hence, the reason why the stack is quite substantial (over twenty), with many only having a few pages used. I decided to rip out the used pages and keep the notebook to re-use (proud of myself for being so thrifty). The ripped-out pages are swallowed up by the black sacks, and the revived notebooks are placed together where I can quickly grab one when I need it. It has been a full-blown clear-out, and by the time I finally finished I had two bags full of papers to dispose of, a box of folders to be stored (the ones I’m not quite really to let go), and a box of pre-loved books ready to find new homes. Once again, I can sit at my desk and find what I need within easy reach, and it feels good. My hubby popped in, and he couldn’t believe the difference. There are still a few little jobs to be finalised, and then it will be ‘ship shape’, and I am ready and raring to go. It has been a liberating experience, and one I intend to do on a more regular basis. 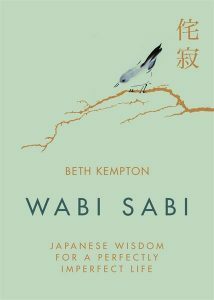 I have been recently reading a book about the Japanese ‘wabi sabi’ (Wabi Sabi by Beth Kempton). A lovely book that talks about how the Japanese have a tradition about only choosing to surround themselves with a few carefully selected things that speak to their heart. Traditional Japanese homes are minimalistic with a feeling of calm, allowing energy to flow. This concept appeals to me, and I must be more meticulous about any future purchases and checking in with my heart first, asking myself two questions: ‘Do I need it? Do I love it?’. 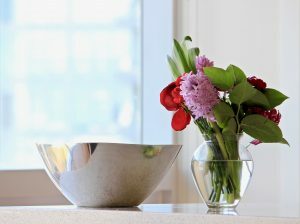 I realise that many of us live in a world where we buy more than we need, and this continual purchasing ends up with us becoming overwhelmed by ‘our stuff’. I know this is a ‘first world’ problem, but we need to consider the consequences of our actions. Our world is already suffering from the amount of waste we produce. It has been a stark reminder to me only to buy what I need, and perhaps for birthdays and Christmas, I could ask people to donate to worthwhile causes instead of accumulating gifts that I don’t need. 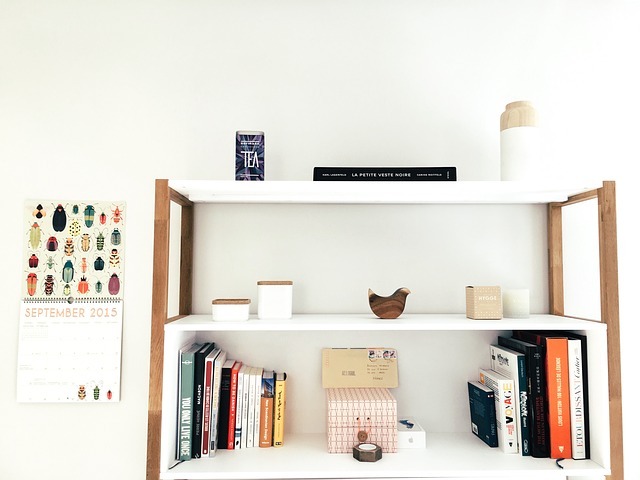 If you are feeling overwhelmed and closed-in by ‘your stuff’, I thoroughly recommend setting aside the time to tackle the issue one-room at a time, and if that’s too much, do a cupboard or a bookshelf at a time. Start today and you will soon finish. Liberate yourself and bring calm back into your space. Allow the energy to flow again. 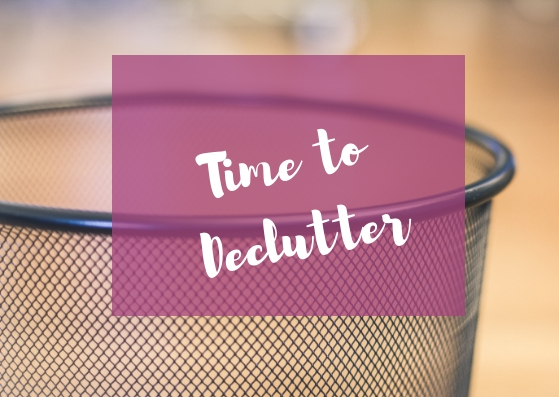 Declutter your space, declutter your mind. It is a ‘spa treatment’ for your Soul.